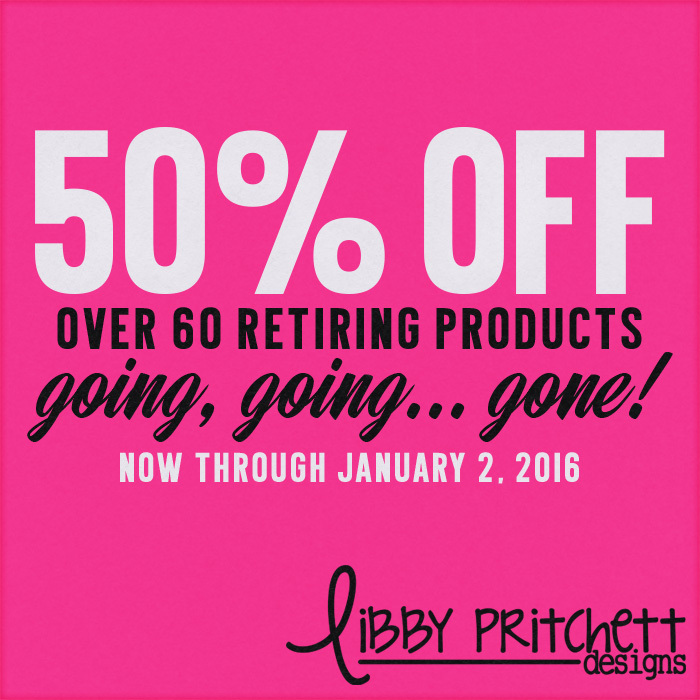 Libby Pritchett Designs: 50% Off Retiring Products! It's that time of year again... our annual Going, Going... GONE sale is here! Now through January 2, you can grab over 60 of my retiring products at our biggest discount ever offered! I know searching through the virtual aisles during a sale this huge (there are over 1500 products retiring!!!) can be a little daunting, so I've created a Pinterest board to make browsing a little easier for you. And don't forget, I have a coupon available to my newsletter subscribers thanks to my Daily Digi feature spot! It's only good through December 31, so don't miss out! Thanks to all of my amazing customers for making 2015 such a great year! I'll see you in the new year!